Bisa Kdei’s album ‘Highlife Konnect album’, created a web of varying sounds, all pointing back to his indigenous highlife influences. And though he was assisted by his mix of Nigerian and Ghanaian guest features, “Pocket” stood out of the 15-track project for its gripping story on the turbulent climb to fame. In classic Bisa Kdei style, the single is performed in a mix of English and Twi, leaving some of the story to the imagination of those hindered by the language barrier. However, the recently released video fills out whatever gap left by the song. The video opens in a support group setting where Bisa Kdei explains how “The bad things that happen in our lives put us directly on the path to the best things that will ever happen to us”. The rest of the video however follows the tale of a boy who has a rough childhood, discovers his talent for singing but is surrounded by haters. 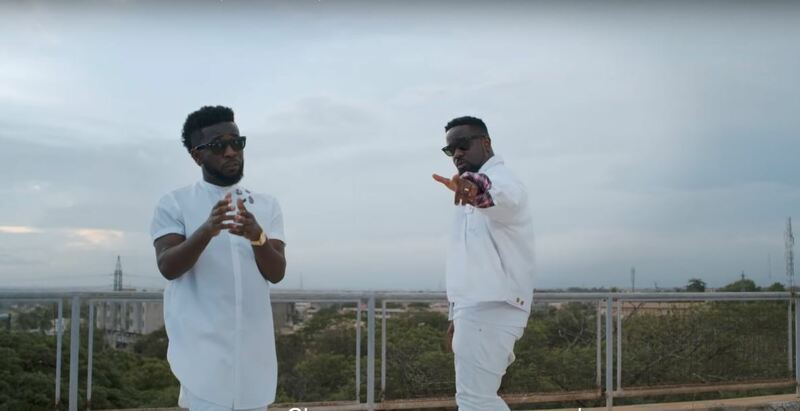 While we watch the boy’s growth, the video also offers clips of Bisa Kdei and featured artist, Sarkodie, performing their lyrics at convenient intervals. The boy’s talent is eventually discovered by a talent scout and the video ends with him driving through his old neighborhood in a fancy car and gives money to his seemingly unproductive haters. You can watch the video for “Pocket” below.